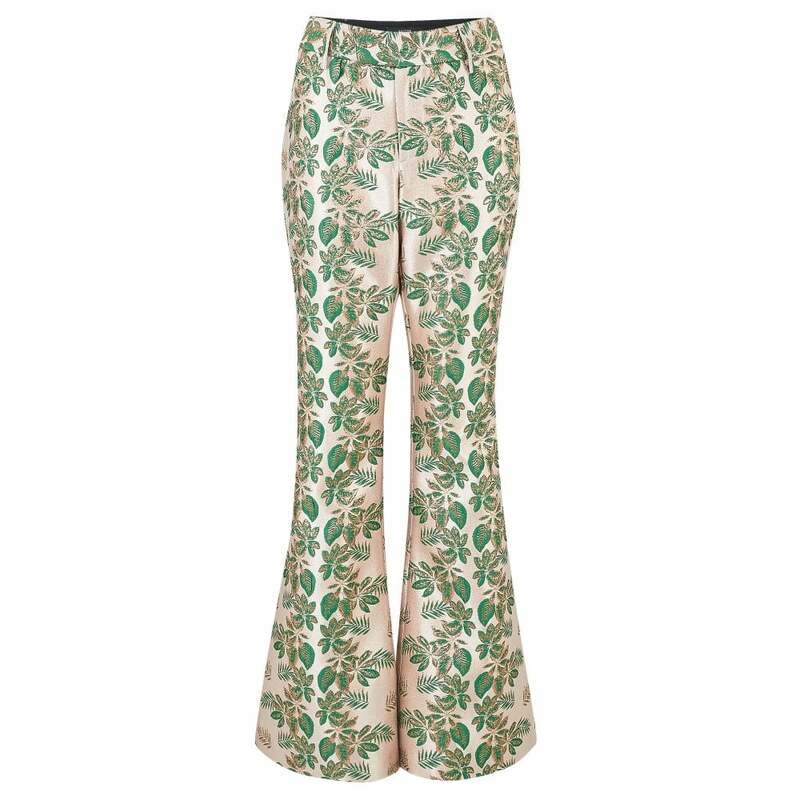 Smythe Brocade Bootcut Pant in Emerald: Steal the show in these funky bootcut trousers by Smythe, featuring a tailored mid-rise waist styled in a dazzling gold and emerald green brocade pattern. Pair with a smart blazer and heels for an alternative take on Christmas party style. © 2019 Stanwells Westbourne. All Rights Reserved.